Hello, lovelies~ If the picture below looks familiar, I think you already know by now the name of the mystery mascara. For those who don't, the mystery mascara is Benefit's newest mascara called Roller Lash. 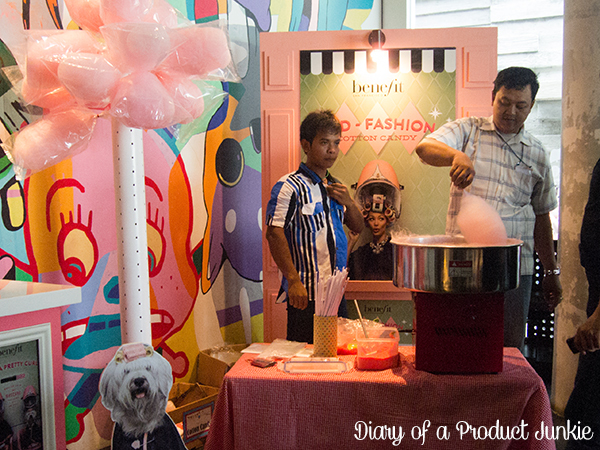 Inside, the venue was decorated beautifully with pink and silver all over. There were small sections for the mini games (which were super fun!) 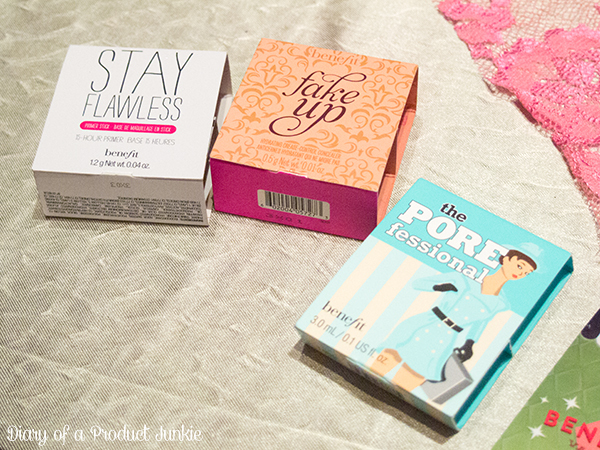 and a makeover section for those who want to try the newest mascara from Benefit. Before playing the mini games, we were welcomed to snacks and drinks. I helped myself to a hot cup of tea. The games were fun, but I didn't win the one where we have to throw an eyelash curler to a basket. I won myself a primer deluxe sample from fishing one of the duckies, though! 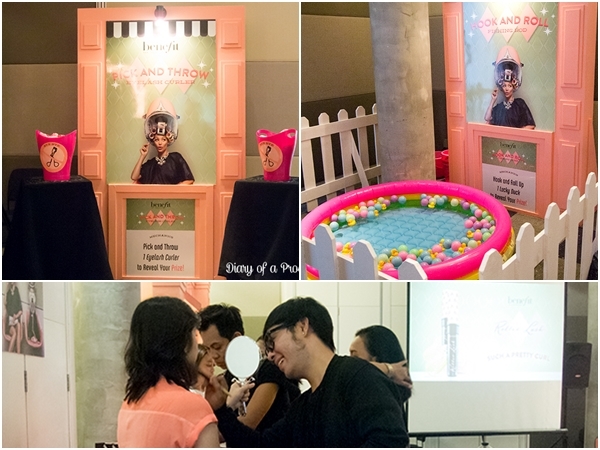 After the laughs from winning (some ) mini games, the event started with a dance perfomance. It has a retro, grease-lightning feel to it. 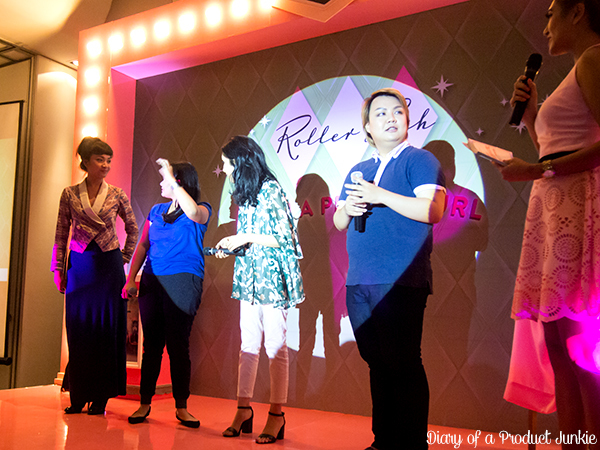 Moving on the the main event, Ms. Daisy Utami, the brand GM of Benefit Cosmetics Indonesia explained the history of how Roller Lash is developed for four years. Yes, she is wearing hair rollers, you're not imagining stuff. 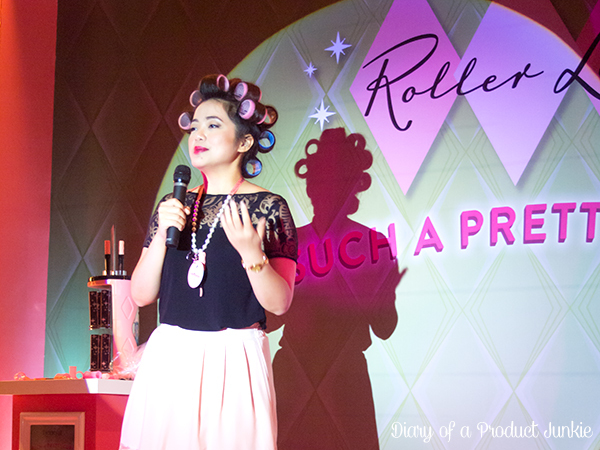 In fact, Ms. Daisy said that the idea of Roller Lash is inspired by ordinary hair rollers that helps to curl and volumize the hairs. "Think of it like a usual hair roller, but for your lashes! ", she said cheerfully with rollers on her hair. 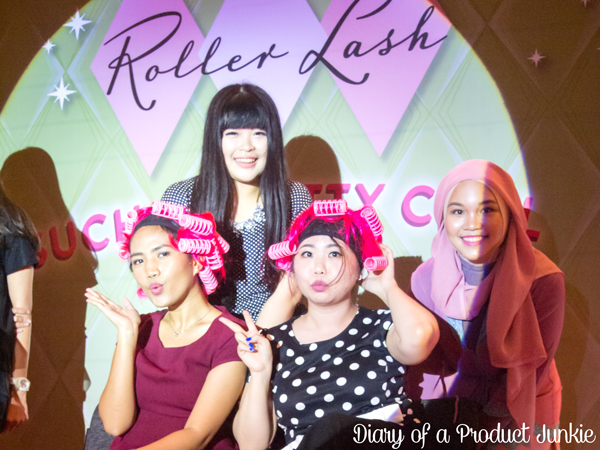 The selected beauty bloggers shared their experience using the Roller Lash and most them enjoyed the mascara without having to curl their lashes. It does have a unique mascara brush that is called Hook 'n' Roll™ Brush, which captures the shortest lashes and curling them upwards beautifully. Oh, and it holds the curl for 12 hours! 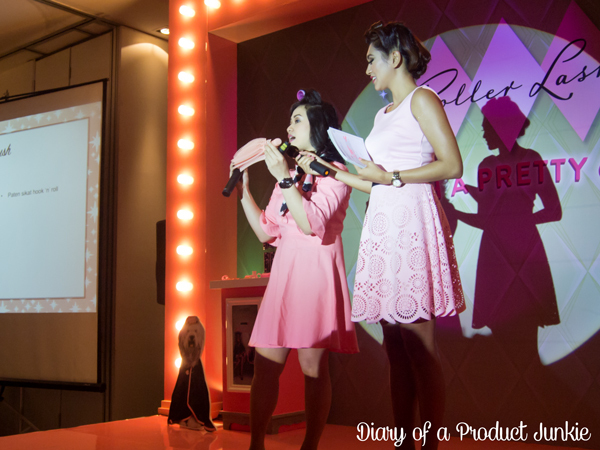 Ms. Julyanti, sales and development manager, added that it contains provitamin B5 and Serine that conditions the lashes. In her presentation, she noted that in a survery of 31 women, 97% said it visibly lifts their lashes, 87% said that it gives long-lasting curls, while 94% said their eyes look wide open. All without any help from an eyelash curler. Neat, huh? After the short presentation from Ms. Julyanti, it's to lighten up and play some games! As the theme is all about curling and hairs, the game is attaching hair rollers to a wig. The winner is the one with the most hair rollers on the pink hair. Did you know that the packaging of the Roller Lash is unique in its own way? The pink cap is inspired by the retro pink hair rollers, whereas the silver stars on the box is inspired from the interior decoration motive of old hair salloons in America back in 1950s.